Just 45 minutes north of San Francisco in California's Napa Valley lies Silverado, a historic 1,200-acre destination resort in the rolling hills of wine country. The Mansion, a California landmark built in the early l870s in the Italian and French styles, stands as the welcoming place for all guests checking in. Designed by then-owner General John Miller and his wife, it houses the lobby reception as well as Mansion Lounge and several meeting rooms. 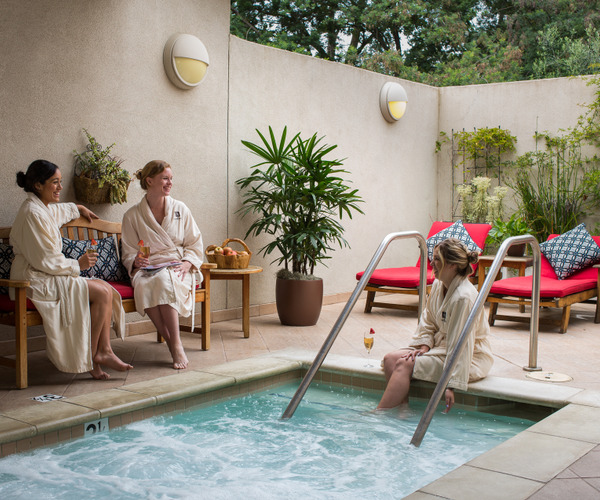 The Spa at Silverado is the largest spa in the Napa Valley, it has both indoor and outdoor treatment spaces. Two championship golf courses, tennis courts, and the stunning natural surroundings also attract clientele ranging from conference planners who want to hold meetings in a healthful environment to couples who want to enjoy some time alone together. The 16,000-square-foot Spa at Silverado has 16 indoor and three outdoor treatment rooms. It takes advantage of the surrounding beauty of Napa Valley with skylights that admit natural light to many of the treatment rooms, tranquil courtyards, well-placed gardens, and scenic views. The airy interior, with its high ceilings and open spaces, is conducive to relaxation and meditation. The spa's signature treatment is the tui na massage, combining acupressure and stretching to prompt an increased flow of vital energy. Additional offerings include body care, skin care and designated bridal and men's treatments. The fitness center boasts assisted weight machines, outdoor running and stretching areas, and strength training and cardio equipment equipped with private TVs and headsets. More than 30 fitness classes are held weekly, and the center includes a team of personal trainers and wellness coaches. Whether there for business or pleasure, guests can be both relaxed and invigorated. Two 18-hole Robert Trent Jones, Jr. golf courses cover 360 acres and feature lush vegetation, ponds, lakes, three fresh water creeks, trees arching over the fairways, and artfully placed traps and greens. Silverado also has 10 plexi-pave tennis courts, ten swimming pools, and several jogging trails. Although Silverado is a self-contained resort, guests may wish to experience some of the area's other recreational opportunities. These range from wine tasting to shopping to playing racquetball to boating, fishing, and water skiing at Lake Berryessa, 20 miles east of Napa. For the more adventurous, horseback riding and hot-air ballooning over the vineyards are perennial favorites. 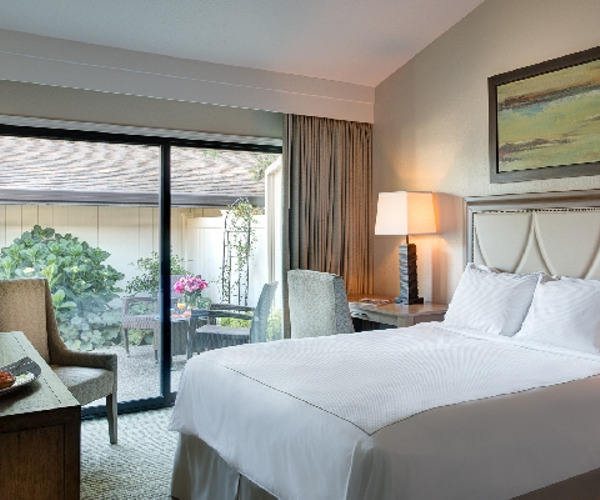 Accommodations consist of private suites that surround the main mansion and line the fairways of Silverado's two golf courses. Each suite has unique decor and a balcony or patio, a full kitchen, a master bedroom, and a bath. Napa Valley claims the title of Food and Wine Capital of America, and chefs from all over come to the region to practice their craft. The menus of Silverado's restaurants reflect the fresh ingredients and innovative style for which Napa Valley cuisine is known. The Grill at Silverado blends California style with local seasonal. The Mansion Lounge an Terrace, Silverado Market & Bakery and the Spa Cafe are also available.